E. Lynne Wright has published three books of non-fiction. Her most recent one is It Happened in Florida. The new second edition of It Happened in Florida has just been published by the Globe Pequot Publishers and is available in book stores and online at Amazon and Barnes & Noble. The new edition includes some updated material and two new chapters. From 1513, when Ponce de Leon discovered the Land of Flowers, then on into the new millenium, It Happened in Florida takes readers on a tour of some of the characters and episodes in Florida's vibrant past. Read about the inventions of Gatorade and air conditioning, how The Mouse chose Orlando for his kingdom, and how the Nazis invaded Florida during World War II. A new chapter touches on Dan Marino's legendary football career and celebrates his all-out dedication to the health crisis of autism. Sometimes inspiring, sometimes zany, always fascinating stories about events that helped make the Sunshine State what it is today. Easy-to-read, informative tales of some captivating moments from Florida's history. A brand new updated and expanded edition of More Than Petticoats: Remarkable Florida Women has just arrived in bookstores and online. 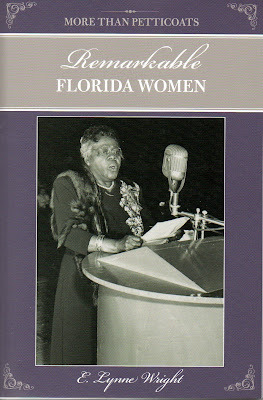 This collection of biographies tells the stories of fifteen women who helped make Florida what it is today. With strength and compassion these women broke through social, cultural and political barriers to make lasting contributions to society. Even before they had the right to vote, these women established towns, hospitals and schools, wrote powerful stories, promoted conservation and tolerance. Marjory Stoneman Douglas, Zora Neale Hurston, Ruth Bryan Owen and others are joined by Frances Langford, a singer from the World War II era who was well-known in movies and radio. Less-known are the enormous contributions she made to society in other areas. The flying records set by Jacqueline Cochran made women proud, but her actions in the early days of the space program broke some hearts. Both books are available in most book stores and at Amazon. 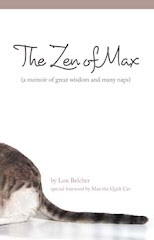 Lynne is a former nurse anesthetist whose short stories, nonfiction articles and essays have appeared in the Cleveland Plain Dealer, The Hartford Courant, Mature Lifestyles, Woman's Day, the Chicken Soup books, numerous anthologies and literary magazines. She has published three nonfiction books with the Globe Pequot Press: More Than Petticoats: Remarkable Florida Women, It Happened in Florida, and Disasters and Heroic rescues of Florida.